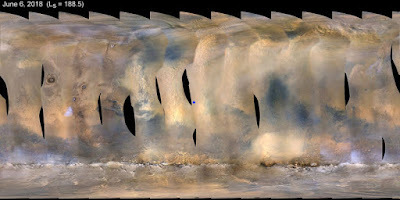 Sciency Thoughts: Martian dust strom forces Opportunity Rover to enter Hibernation. 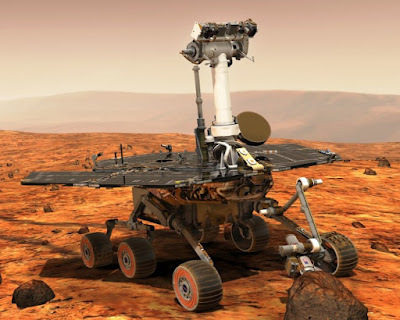 Martian dust strom forces Opportunity Rover to enter Hibernation. NASA's Opportunity Rover has been forced to enter hibernation mode after a large dust storm developed in Mars's equatorial region. 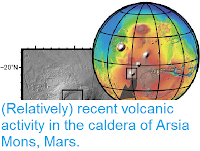 The storm, which was first observed on 1 June 2018, currently covers an area of about 18 million square kilometres, including Perseverance Valley, where the rover is currently located. While the thin atmosphere of Mars cannot support sandstorms like those on Earth, which can cause damage via abrasion, they can lift significant quantities of dust particles, which significantly reduce the amount of light reaching the rover, which is powered by solar panels, cutting the power available to the rover both to operate and to keep itself warm. Photo-montage map of Mars showing the growing dust storm on June 6, 2018. 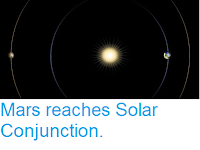 The blue dot shows the approximate location of the Opportunity Rover. 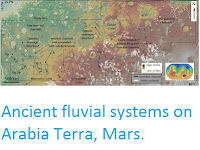 NASA/JPL/Caltech/Malin Space Science Systems. 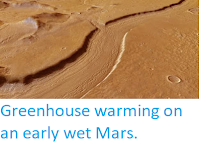 Warmth is an important consideration for any device operating on Mars, where temperatures are significantly cooler than on Earth (the current average daily temperature in the Perseverance Valley is about -29°C). This means that a sustained storm could potentially leave the rover with batteries to drained for it to warm itself to an operational temperature, a fate that befell the Spirit Rover in 2008.